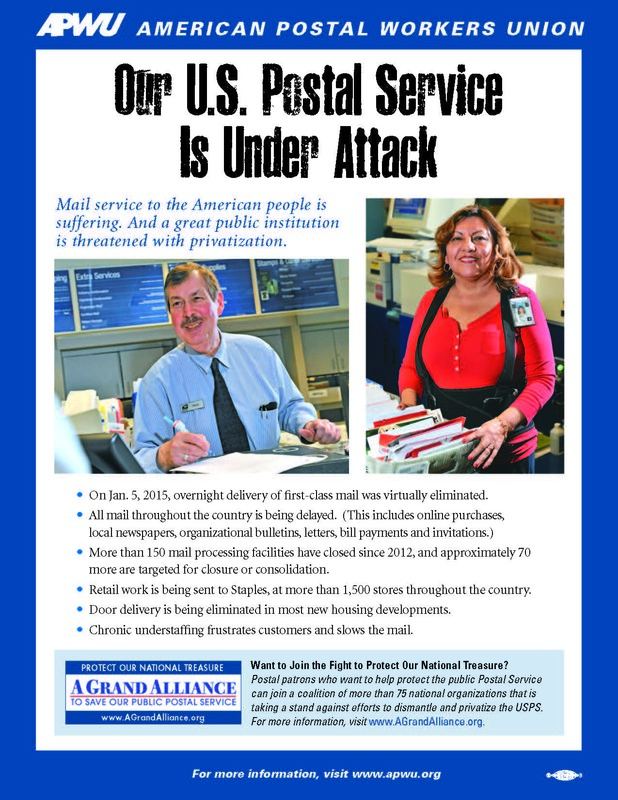 07/05/2016 - The Democratic National Committee’s Platform Committee has endorsed the public Postal Service and approved measures that were advocated by the APWU. In a draft of the party’s platform, released on July 1, the committee recommended nearly all the postal planks outlined by President Mark Dimondstein in a presentation to the committee on June 9. 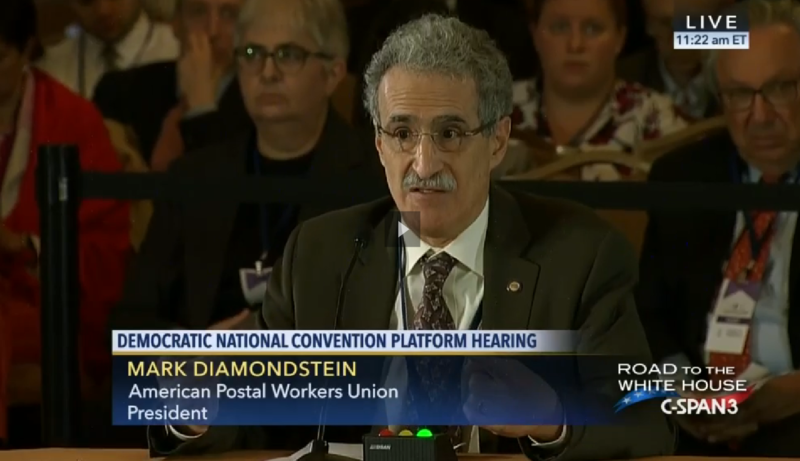 06/10/2016 - APWU President Mark Dimondstein addressed the Democratic National Committee (DNC) Platform Committee on June 9, where he gave an impassioned defense of the public Postal Service and urged the committee to adopt specific pro-postal and pro-worker planks. May 14 National Day of Action. Certainly during 2015 we engaged in lots of needed struggle in the fight for workers’ rights and in defense of our wonderful national treasure, the public Postal Service. And, indeed, we have made some real progress. 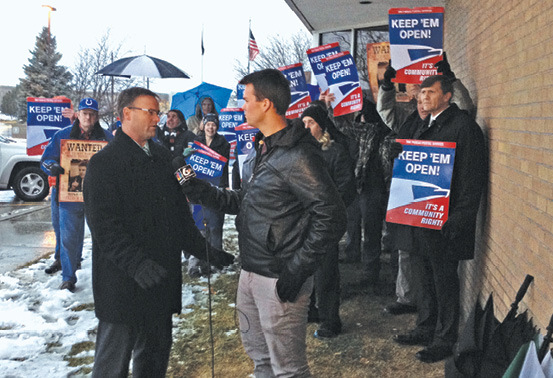 11/16/2015 - The Postal Service’s latest financial report, which showed an operating profit of $1.2 billion, is good news, said APWU President Mark Dimondstein. “The report shows there is absolutely no justification for cuts in service to the American people or to the wages and benefits of postal employees,” he said. The Postal Service released the report for fiscal year 2015, which ran from Oct. 1, 2014, through Sept. 30, 2015, on Nov. 13.